And now a brief break from business-oriented coverage on WorksWithU. As a history Ph.D. student by day and free-software geek by night, I find that my poles of interest rarely converge. That’s why I was so excited when the real-time historical strategy game 0 A.D. was switched to an open-source license in July. I’ve been meaning since then to give it a try, and finally found the time and hardware necessary to do that. Here are the results. 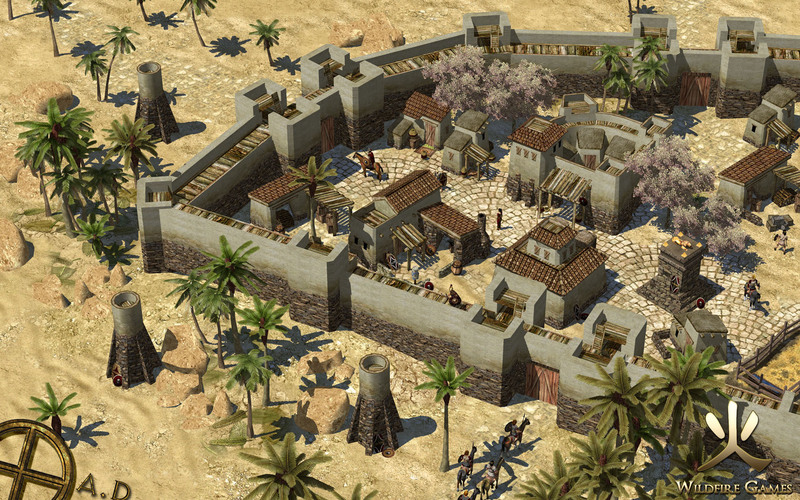 Set in antiquity and designed with historical accuracy as a priority, 0 A.D. is a real-time strategy game that supports Linux, Windows and OS X. The developers, Wildfire Games, originally intended to distribute it as freeware, but decided to open-source the code last summer in hopes that it would speed the development process. 0 A.D. is probably the only open-source RTS game besides Glest that attempts to bring to Linux users a gaming experience otherwise available only on Windows (or through wine, sometimes). Other strategy games for Linux exist, some of them decent enough to provide a few hours’ entertainment, but they’re mostly half-baked and lack the professional quality of their commercially developed betters, especially when it comes to art and gameplay. That’s no surprise, since the free-software community is short on the kind of talent required to create good games. Coders are available in abundance, but finding experienced artists, designers and writers willing to contribute to open-source projects can be difficult, especially when cash is tight. Despite these odds, 0 A.D. has clearly managed to assemble some impressive non-coding talent, as the artwork above attests to. If the game receives the necessary support from the community to put out a successful product, it will set an important precedent demonstrating that quality games can be developed on the open-source model. It will also send a message to vendors that Linux users care about games, which may help expand the dismal range of offerings currently available for Ubuntu. Note that the getdeb packages were built in July, and are missing all of the improvements implemented since then. The truly adventurous can try compiling from source using the latest subversion code. The instructions in this Ubuntu Forums post worked for me on 64-bit Jaunty. Unfortunately, although the code compiled without a problem and the application launched, it crashed when I tried to start a new single-player game. But I may simply have checked out a bad svn snapshot. Welcome to the world of Linux gaming. Nice. It’s always good to see Linux moving forward. L4Linux: thanks for catching the error; post updated. Being a Ph.D graduate and a Linux fan myself, it’s nice to see that I’m not alone! My friend, i think you need to check out Warzone 2100, thats also a complete open sourced commercial RTS game. Hahahaha…..did you imagine this news article for Windows? Looks great! Can’t wait to play it. Hope they’ll get some contributors since now it’s open. lol and Razor7: to be clear and to be fair to the developers, the game has not come close to being released. It’s still in development. The fact that it’s open-source means anyone can compile and play the development version, which I did in this post to preview the game, but to expect the pre-release versions of the game to be playable is not fair. If you had access to the source code of HalfLife when it was in the middle of being written and compiled it yourself, you’d have the same problem. For those making fun of it because it is not playable…hello, ever hear of a alpha release or beta which all games go through? Only difference is with open source anyone can get the code anytime and play with. Don’t see that happening with other games. We are talking about games here, not supercomputing. Windows is grown up because it can play games? Windows runs 1% of the world top 500 supercomputers. Linux runs well over 77%. Razors comment should have been: Please Linux… lighten up and play. well, its great news! its what linux need. artwork its awessome, but check that isn’t just the artwork that makes a good game. i wish you good luck and i will bookmark your website to time to time see the news. keep it up the good work! So the “real gaming” for Ubuntu is another game clone? The graphics look worse than Age of Empires 2 that came out 10 years ago. Originally an attempt to reproduce Total Annihilation, it has far outgrown those original roots and can now provide World War II themed games (Spring:1944), CPU warfare (Kernel Panic) and others, free to download and modify. There are others mods which are proprietary or which use parts of the original Total Annihilation models/textures. gt;gt; Coders are available in abundance, but finding experienced artists, designers and writers willing to contribute to open-source projects can be difficult, especially when cash is tight. Writers and others will come on board, but, unlike for software coders, FOSS is new to them. How many experts get to work on the next EA game? Very few. Experts and hobbyists of all sorts will love FOSS as well and will eventually help FOSS games be the best games. FOSS credits will improve the odds of grabbing a paying gig (eg, customizing the game to a business, eg, as a marketing gimmick or to make gamer/customers more easily do business with that given shop).